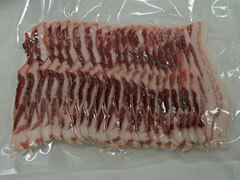 We produce for you delicious and hearty meals of the best quality. 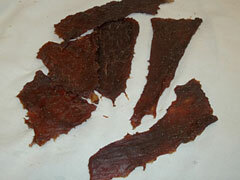 We would love to serve you the best cold-cuts from our original german recipes! 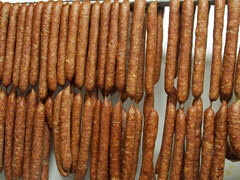 Do you know original Bavarian Leberkäse? 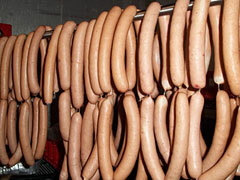 Leberkäse is a bavarian specialty food. It is also found in Austria and in parts of Switzerland. You can eat it cold or warm and you could cut it in slices and serve it with sweet mustard in a bread roll (called Leberkäsesemmel). 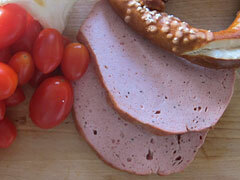 Try also pan-fried Leberkäse with a fried egg and german potato salad - you will die for it! 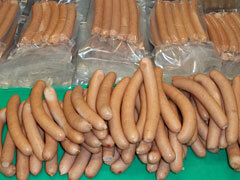 We also produce the famous Wiener Sausages (Wienerl) and Bologna Sausages. Soon you can try all these specialites in Port Hawkesbury, fresh made in your Farmstore Truck! We will update you here in the next few weeks!